It's that time of the month when I share all of the best Silhouette CAMEO tutorials (and Portrait and Curio) in one spot. In case you missed a day, haven't signed up for the Silhouette School newsletter yet or Facebook isn't show you all our post (BOOOO!!) - I've got you covered! 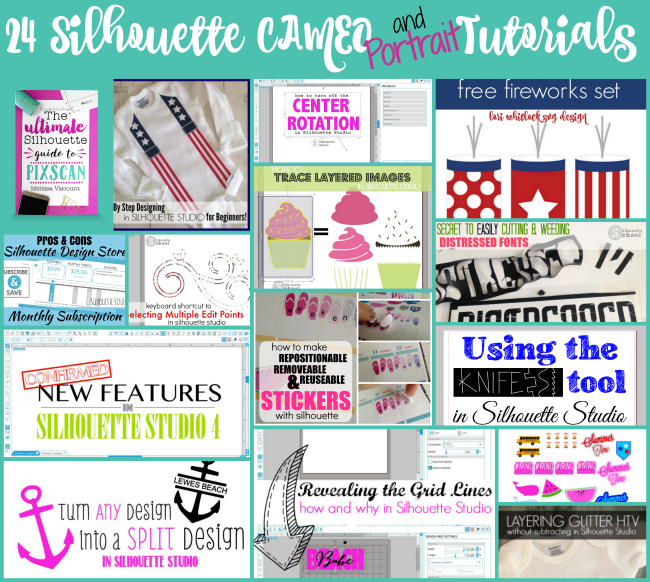 Here's a look at all 24 Silhouette tutorials shared in June on the blog! Should I Seal Vinyl? And With What Sealant? 10 Distress Fonts for Silhouette Crafters (and Tips for Cutting Them)! Much obliged to you for sharing your considerations. I truly value your endeavors and I am sitting tight for your next review thank you by and by. Cochin Airport Advertising offers the superb occasion of astonishing global viewers traveling to the stunning state of Kerala, thus permitting international trade name. It is moreover used to grow visibility before the key result makers in the major industries flourishing in Kerala.